The Heaton floor plan provides the flexibility you've been looking for in a home. 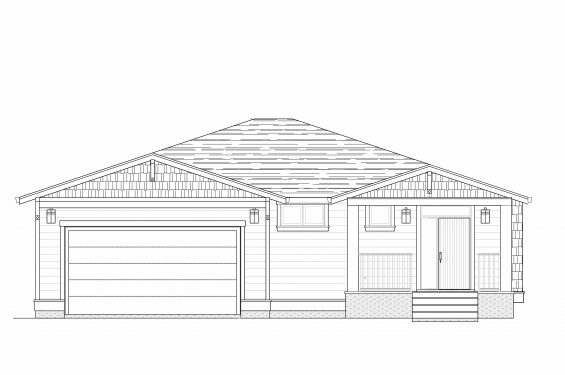 This rancher with 2 bedrooms, 2 bathrooms and great room style living may be all you're looking for but if a little more space is what your family needs then you have the ability to expand into the unfinished basement and add an additional 1008 of floor space. This home is finished with beautiful warm floor tones and modern gray cabinetry in the kitchen with stylish white and gray marble patterned countertops. Great room style living includes, kitchen with large island, dining and living room with feature tiled gas fireplace. Step out your back door onto a generously sized rear patio and enjoy BBQing with friends or relaxing and taking in the mountain top scenery. A double car garage give you lots of space for vehicles and toys. This home is ready for you to move into today. 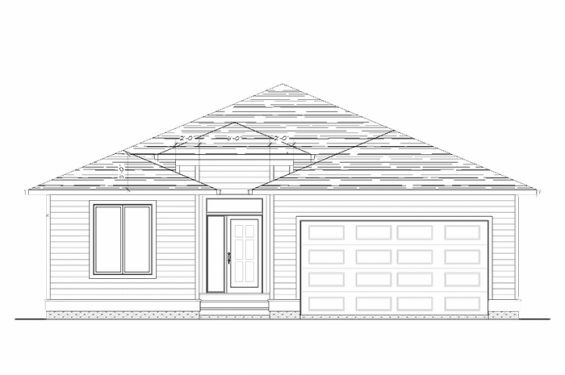 This beautiful Catria rancher with basement floor plan is ready for you to move into today. This home delivers 1361 square feet on the main floor and features the master on the main floor with two walk-in closets and private 4 piece ensuite. The main level of this home with great room style living integrates living, dining and kitchen with an entertainment sized quartz countertop island. Directly off of this level is your covered patio; set up your BBQ and invite your friends over. If guests want to stay, they, you can easily accommodate them in one of the two bedrooms and full bath on the lower level. Media/Recreation room on the lower level allows you to spread out and watch "the game" with friends in the generous 1309 sq.ft. of finished living area on this level. This home is finished in a stylish grey and white colour scheme and ready for you to call it home.